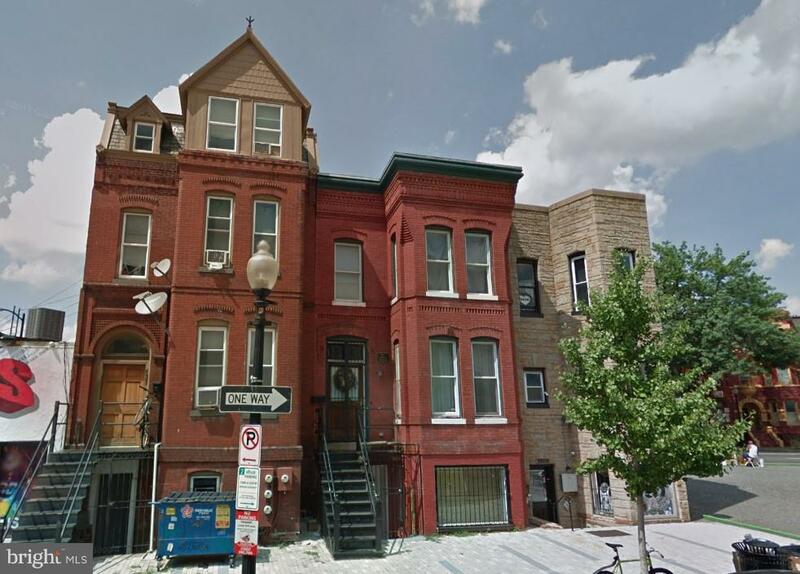 Fully occupied generating OVER 50K/yearly revenue.AMAZING Live/Work, Live/Rent or rent both opportunity (expansion possible as well) Flexible ARTS-2 zoning directly across from The Howard Theatre. Currently configured as 2 units (upper level 2 bed/1.5 bath duplex & lower level 1/1 with rear patio). Great AirBnB opportunity or rent to offset mortgage while enjoying life in bustling Shaw - steps to all the city has to offer. Directions: Turn right onto Georgia Ave NW. Continue on 7th St NW. Drive to T St NW. Continue straight onto 7th St NW. Turn left after Wells Fargo Bank (on the left). Destination will be on the left.